All that you need to know about Aakash Ambani's engagement to Shloka Mehta! The news of the richest Indian’s son getting engaged to the daughter of a billionaire diamond trader was bound to break the internet and so it did! Although, we can’t get over how amazingly lowkey and stunningly beautiful the whole affair was. 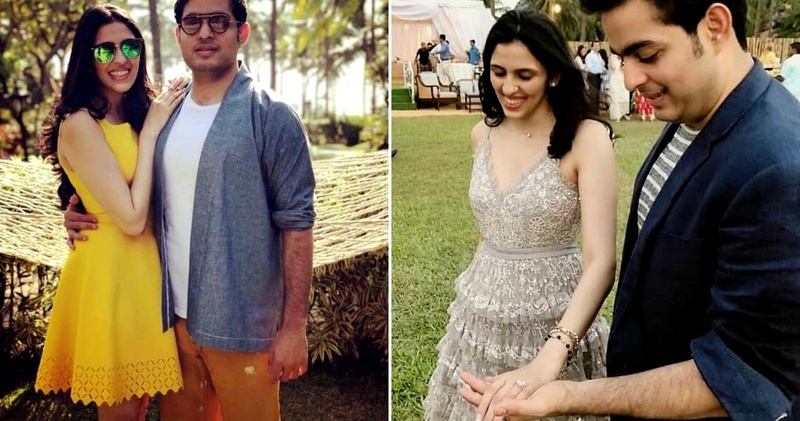 It so happened that Akash Ambani, the eldest son of Mukesh Ambani proposed to Shloka Mehta, the youngest daughter of diamantaire Russell Mehta, at a plush five-star resort in Goa. Akash is on the board of Reliance Jio, the group's fast growing telecom venture, while Shloka, is the director of Rosy Blue Foundation since July 2014 and is also a co-founder of Connect For, which matches volunteers with NGOs that need them. Also, Akash and Shloka studied together at Dhirubhai Ambani International School. The two families and their close friends gathered at the resort for a 'get-to-know-each-other' before the formal engagement. Though the two families have been talking to each other for the wedding for sometime now, the plans were formalised at the Goa event, which was planned before Holi. The couple is expected to take their wedding vows in early December, with celebrations spread across 4-5 days, at the Oberoi, Mumbai, and we can’t wait for their formal engagement! After coming back to Mumbai, the Ambanis threw a grand party for Akash Ambani and Shloka Mehta. The guest list included all the Bollywood biggies - Shah Rukh and Gauri Khan, Karan Johar, Aishwarya Rai Bachchan with daughter Aaradhya and Katrina Kaif among others. Shah Rukh Khan looked his dapper self as he arrived at the party. Katrina Kaif was clicked as she arrived for the grand party. Kiran Rao and Karan Johar arrive at the party. Sagarika Ghatge and Zaheer Khan looked lovely as they arrived to congratulate the newly engaged couple. Harbhajan Singh also made time to congratulate Akash Ambani and Shloka Mehta. John Abraham came casually dressed for the engagement for the party. Woah! After having a look at their engagement pictures, we definitely can’t wait for their wedding!